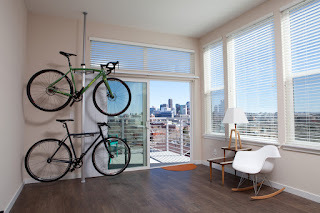 Whether you got a new bike for Christmas in 2015, you're getting serious about your "Get Organized" resolution, or there's another reason you decided to get a new home bike storage rack, there are plenty of great option for you. You can decide between a freestanding bike rack, a wall mounted bike rack, or a pressure mount bike rack. Below are some new adds to the home bike storage and display catalog. 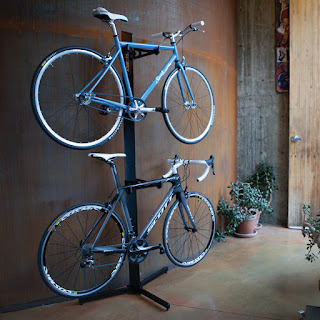 This is about as simple as it gets for home bike storage. 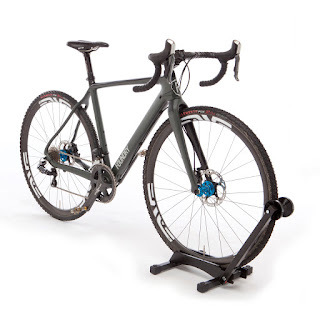 It's a Freestanding Floor Bike Stand - just ride your bike in and out whenever you need to. It has a small profile so takes up next to no space in your garage, basement, or apartment, plus it even folds smaller (flat) when it's not in use, so you can stick it in your closet or bring it with you on a road trip. No installation, drilling or mounting required, so no damage to your walls and no lifting your bike. Fits a variety of bikes like - road bikes, MTB, kids bikes and more. If you're looking for a more traditional wall mounted bike rack, this Adjustable Bike Wall Rack has got everything you need. It's made of steel, so it's plenty strong enough to support your bike. It has rubber tipped arms to prevent any damage when holding your frame. 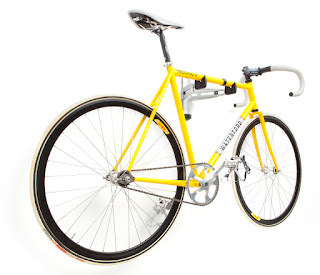 And it's adjustable - the rack arms adjust independently for any angled top frame tube you have. The rack arms are also adjustable from 8" to 12" away from the wall, so you can expand it when you need it and minimize it when you don't. For something with style and function, check out the Pressure Mount Apartment Bike Rack. This rack is made for interior spaces. It expands to secure to your floor and ceiling with pressure, so no mounting or drilling required to install and again, no damage to your walls. This makes it optimal for a rental space like an apartment or condo. It also looks great, so you (or your wife) doesn't have to worry about whether it matches your home decor! Comes in 2 colors (black, silver) for even more decor-matching ability. Check it out today.